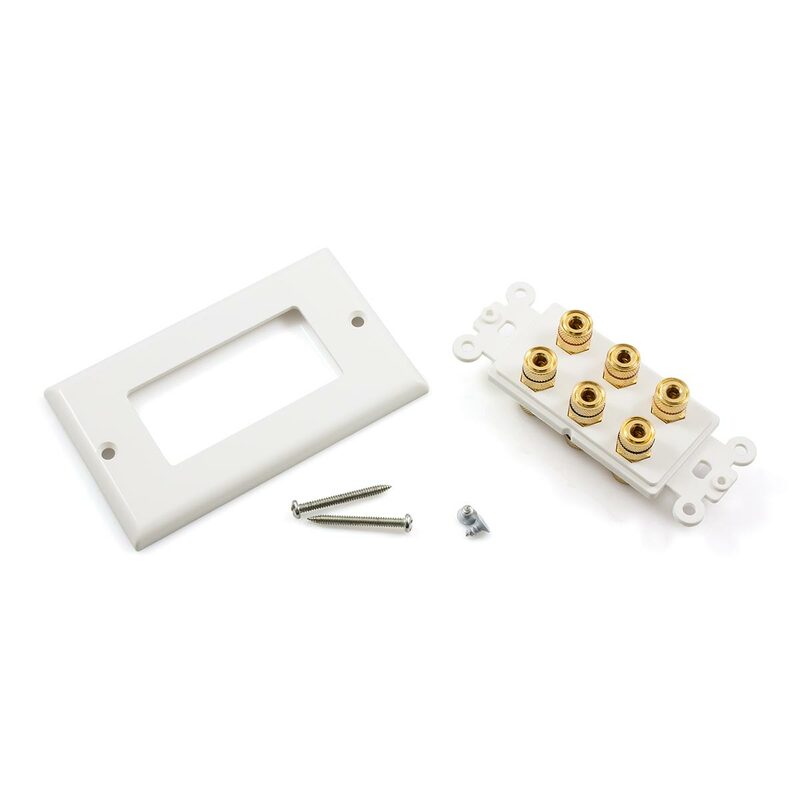 Premium Quality 3 Speaker Wall Plate! 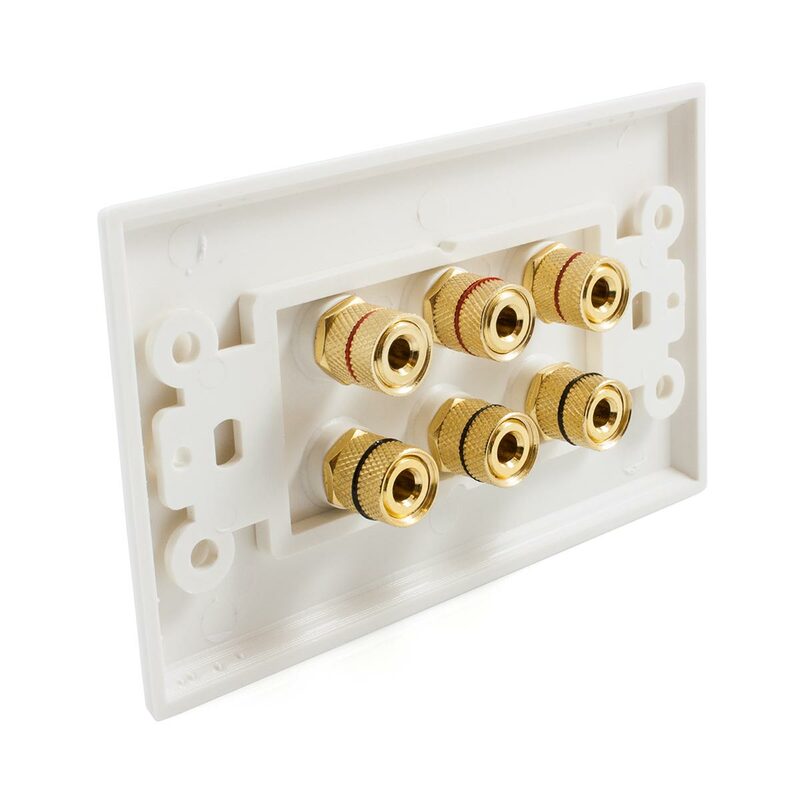 This superb 3 Speaker Wall Plate is designed and manufactured to provide you with exceptional performance and a simple installation procedure. The slimline design provides modern aesthetic appeal that looks simply stunning. 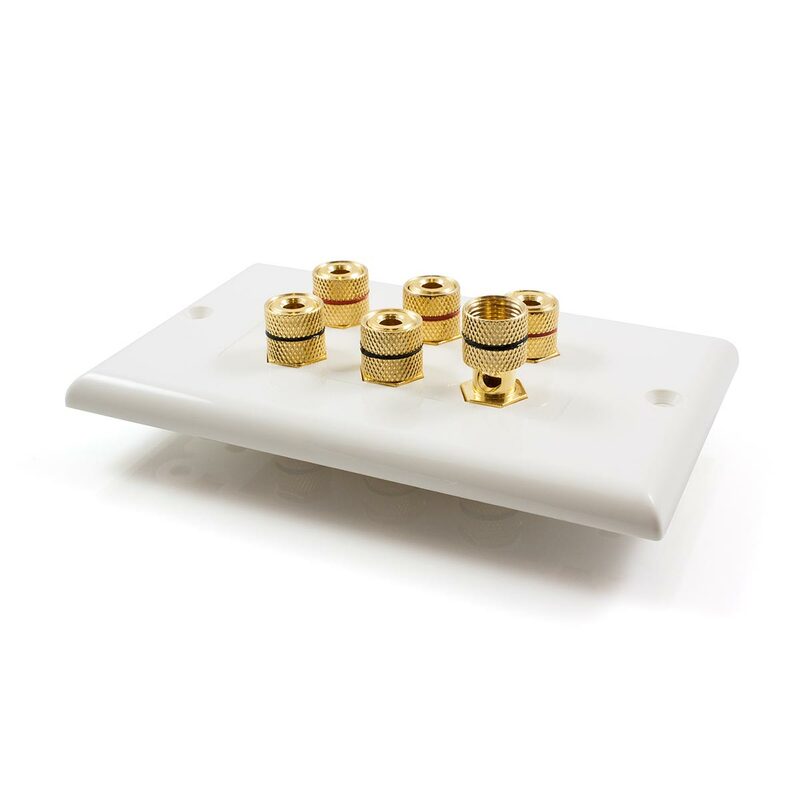 The 24k gold plated banana sockets provide a robust and reliable connection that will ensure that the highest quality audio will be delivered at all times.. The connections on these speaker wall plates are precision engineered and are designed to be as tight and firm as possible, while at the same time providing a silky smooth screwing action that is testament to the exceptional quality. 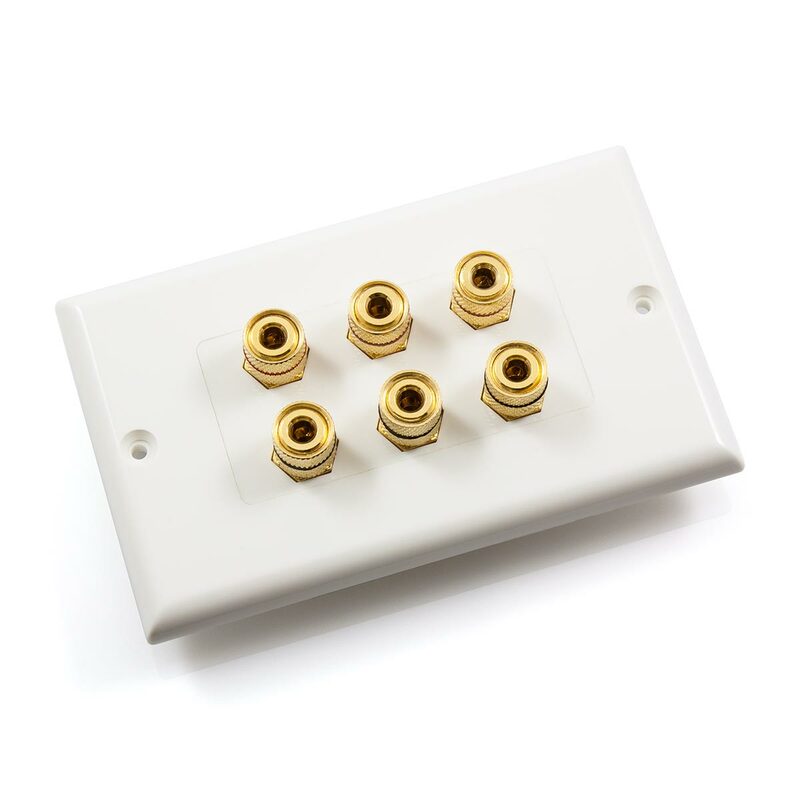 The colour coded binding posts on these wall plates can accept bare wire, spade terminals or banana plugs both on the front and on the rear. Speaker wall plates make a great addition to your home theatre system and provide the ultimate finish with a clean, professional look. In summary, these stunning wall plates are simple, effective and affordable.